You´re thinking Singapore´s Changi because it has a pool and a butterfly garden. Or Bangkok because you can get a massage 24 hours a day. Maybe Munich for its brewery? Not for me anyway. Airports these days seem to offer everything the so called modern traveller needs but the one thing I´ve always found distinctly absent from every airport I´ve visited is a personality, or god forbid a sense of humour. 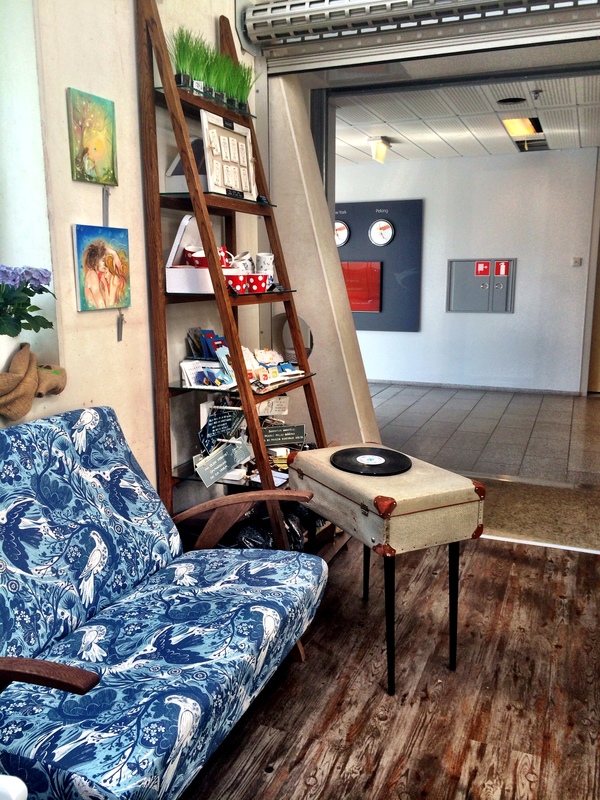 Which is why my recent visit to Tallinn airport, en route to Paris, was such a surprise. Estonia´s capital is not usually setting international style benchmarks, but I found myself delighted and surprised several times while waiting for my flight. And not by the kids play area, unlimited free wifi and Skype video booths (although they were cool too). 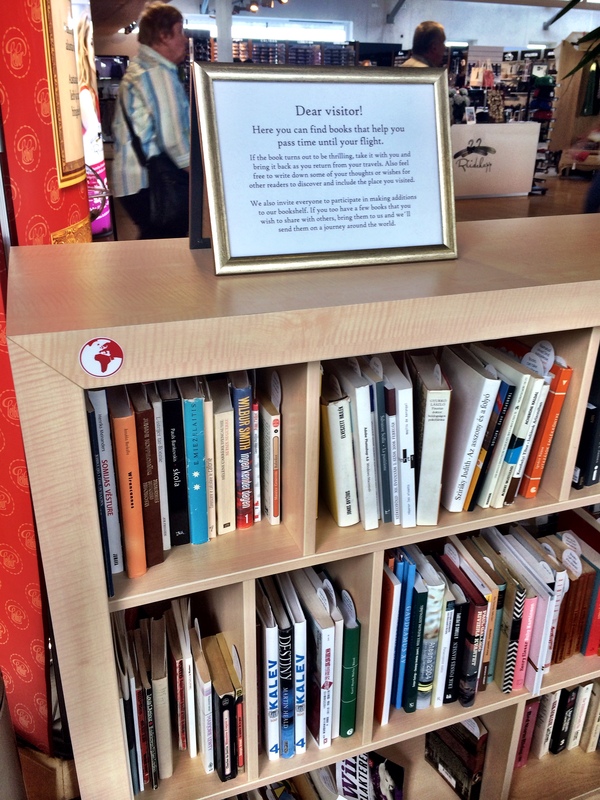 First up was the the airport library where you can read and even borrow a book at your leisure, with the idea that you´ll return it on your way back or replace it with a book you no longer need. A genius idea that fosters a sense of community and environmental awareness. Book in hand, I walked into the nearby Kohver Café and was bowled over by the fact that this was not a chain café. Independent businesses are rarely, if ever, courted by airports. 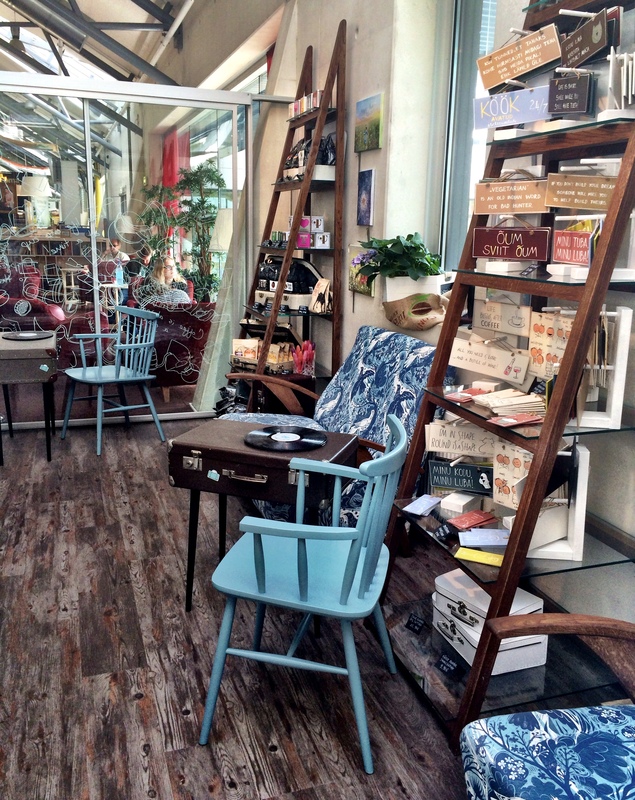 It was teeming with vintage décor and quirky styling, including coffee tables made out of antique suitcases (an idea I am totally going to copy). 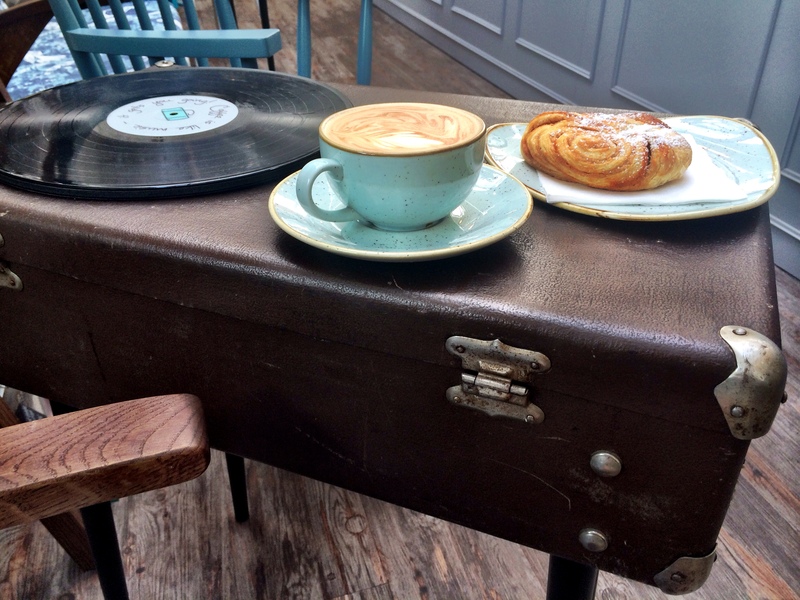 This café would look perfectly at home in Sydney´s Surry Hills or London´s Soho. Several coffee styles were on offer including aeropressed, press pot, Turkish and glass filtered. Plus dozens of oriental and organic Estonian herbal teas. All perfect to accompany a locally baked fresh cinnamon bun or croissant. 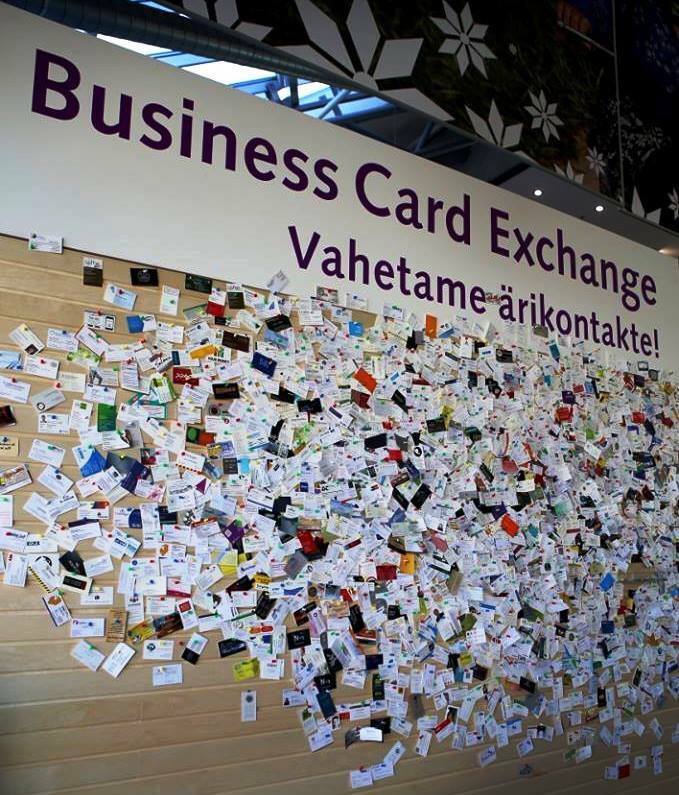 After your caffeine hit, turn the corner to find the business card exchange – another brilliant idea that encourages networking and supports the community. Pin your business card to the wall and feel free to take a card that interests you. Or do as I did and simply cast your eyes over the plethora of cards for a glimpse into the lives of fellow travellers. Tallinn airport´s mission is to be “the cosiest airport in the world.” How refreshing to see a company actually living its brand values. Mission accomplished Tallinn. Has anyone has encountered such a user friendly and thoughtful airport? Do let me know! 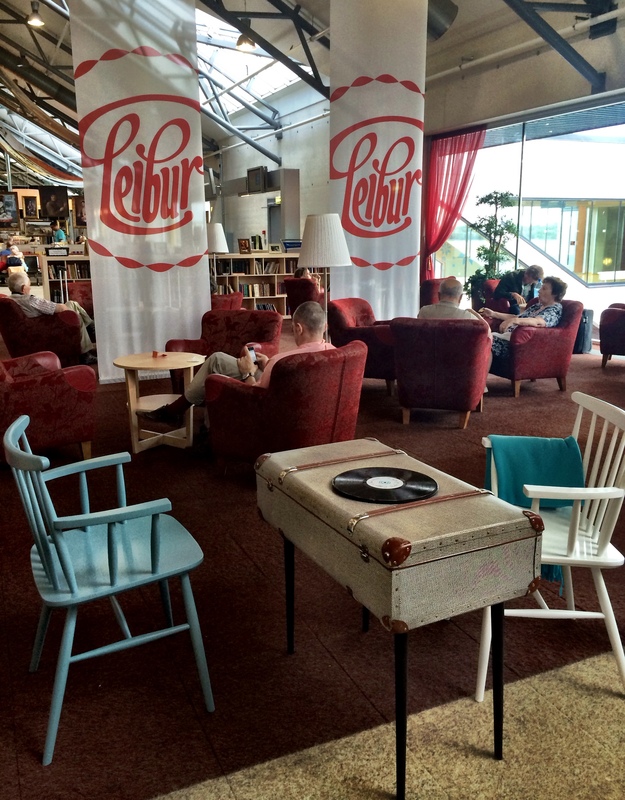 Who knew Estonia was so cool. This is awesome! That’s brilliant! I love how they think of the traveller’s needs and wants in a generous and inclusive way. Nice to read such a warm comment on Tallinn airport. In addition they have a new feature now whereby people that are travelling too late for any place for eating to be open, can make themselves a sandwich of different things and leave a symbolic fee for it in a jar on the table. Welcome to visit us again. That’s another generous and considerate feature for travellers. I wish more airports actually put the passenger first! It is by far, by far…the best small market airport in Europe and probably anywhere! I agree 100%! In my travels I visited 30 airports last year and Tallin was the only one I felt compelled to write about because it was such a delight. True but tallin airport is also very intuative and thoughtful towards its passengers and it would be nice to see these traits exhibited in other airports! That’s so true Lyle! I had a wonderful few days in Tallinn before flying out and I hope one day to return and see more of this kind and happy country. I had no idea! Makes perfect sense, thanks for letting me know. That’s interesting, I didn’t realise. Is it only in Estonia? How many outlets do they have?